For this study, Kordas, who is now a research fellow at Imperial College London, and her colleagues created mini-marine ecosystems on the shore of Ruckle Park on British Columbia’s Salt Spring Island. The mini ecosystems were built on hard plastic plates that allowed researchers to control the temperatures. Some of the plates allowed voracious herbivores called limpets in, and some kept them out. Limpets are like snails, but with a cone-shaped shell. The researchers were studying life in the intertidal zone, the area of the shore between the low tide and high tide. This area is home to a community of starfish, anemones, mussels, barnacles and seaweed. As the tide moves in and out, the plants and animals must cope with huge variation in temperature every day, sometimes as much as 20 to 25 degrees Celsius. The researchers found that in the summer, when temperatures were at their warmest, communities could fare well even if they were heated, but only if limpets were present. 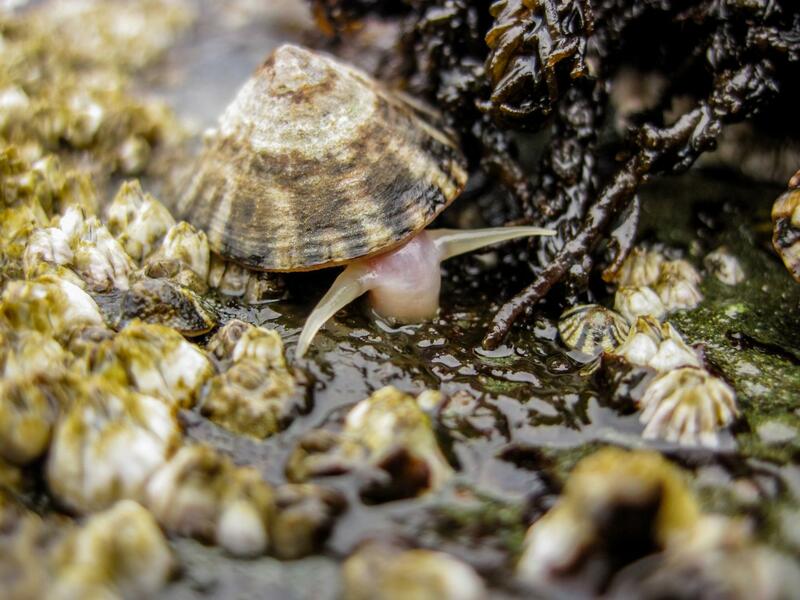 “When limpets were part of the community, the effects of warming were less harsh,” she said. Christopher Harley, a professor of zoology at UBC and senior author on the study, says consumers like limpets, sea otters or starfish are very important to maintaining biodiversity, especially in aquatic ecosystems. Losing these species can destabilize ecosystems, but by the same token, protecting these species can make ecosystems more resilient. “We should be thinking of ways to reduce our negative effects on the natural environment and these results show that if we do basic conservation and management, it can make a big difference in terms of how ecosystems will weather climate change,” Harley said. The study was published today in Science Advances: http://advances.sciencemag.org/content/3/10/e1701349 .